Lauroly Opening: I am so excited to have Dr. Michael Greger join me for a Q&A. I will share a little story. I was talking to a friend recently and we were talking about the experts that have visited World Wise Beauty. They are all pioneers, authors and experts in wellness culture. She said “my daughter said the best expert in wellness is Dr. Michael Greger, author of ‘How Not to Die’.” I said “oh yes I am trying to connect with him to do a Q&A!” Anyway, this little exchange said a lot. My friends’ kids are millennials and they really embrace health, wellness and environmental stewardship. They can see the writing on the wall with respect to both the health crisis and environment crisis in our country. The good news is, they have every opportunity to push back some of the problems and live a long healthy life. Let’s get everyone on board with Doctor Greger’s basic call to action–which is not to die of unnecessary diseases! 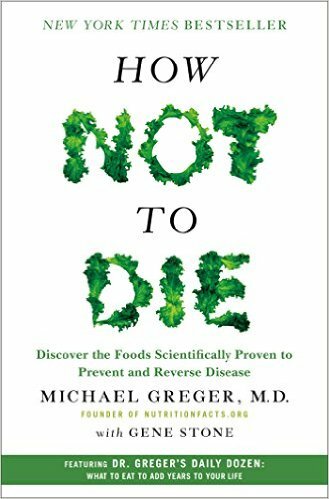 The tag line of his book is ‘Discover the Foods Scientifically Proven to Prevent and Reverse Disease.” This should be a desirable option to taking drugs, or undergoing unnecessary treatments, but somehow many haven’t been given the option. Surprised? Let’s start with the sobering truth, Most doctors here in America are good at treating acute illnesses but bad at preventing chronic disease. The fifteen leading causes of death claim the lives of 1.6 million Americans annually. I think enough of us are aware of the problems, but many of us are not aware of the following simple FACT. Nutrition and lifestyle can address many of the diseases and chronic conditions we face today. Lauroly Q- Welcome Dr. Greger! So honored to have you join me. I think the best place to start is to share the following paragraph from your book and then let you tell us why we are dealing with such a health epidemic in this country. In a nutshell of course! Everyone who hasn’t read your book will definitely be reading it now. 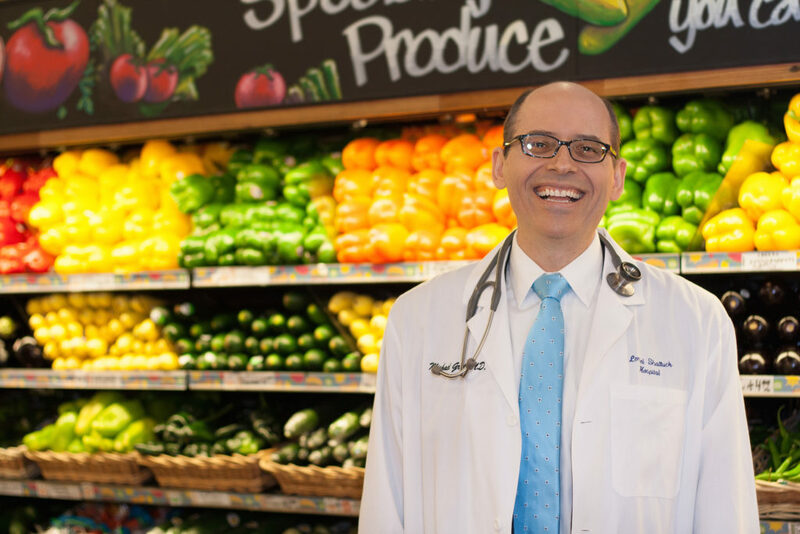 Dr. Michael Greger: Thanks for asking me to join this important conversation, Laura. Yes, that quote you shared sums up the take-home message from “How Not to Die”. Dr. Michael Greger: Great question. Epigenetics is a game-changer. Basically epigenetics is the study of how our lifestyle choices and our environment impact the expression of our genes. And what does that mean? It means our moms were right! We are what we eat! Seriously. We eat junk, and this can actually change our genes, making them misbehave and cause a domino effect of bad effects, including triggering heart disease, diabetes, high blood pressure, and some types of cancer. The great news is, that even if we were dealt a lousy hand, we still have the power to use diet to reign in our genes and protect ourselves from premature disease and death. 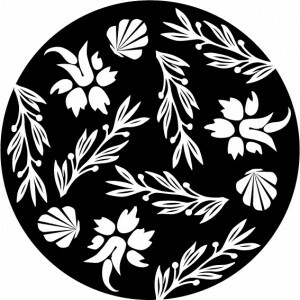 Lauroly Q- I want to remind our readers how incredibly comprehensive your book is. You will find the ‘Why and the How’ clearly outlined for you in the book, and also receive an education on the cultural politics of food and medicine. You have a chapter called ‘Follow the Money’. Why hasn’t our society taken the proven research on reversing heart disease seriously, and why hasn’t the research crossed over to Public Policy? Dr. Michael Greger: It’s hard for society to take this research seriously when they haven’t even been given the opportunity to hear about it. Patients don’t hear about it, because there’s no money to be made in recommending a plant-based diet. Furthermore, most doctors receive less than 5 hours of nutrition education during their entire 4 years in med school, so even when they know a plant-based diet is healthiest, they report that they feel unqualified to adequately counsel patients about plant-based eating. Given the saturation of the medical complex with big pharma and for-profit medicine, each of us, as individuals, are tasked with the responsibility of looking out for what’s best for us and our families. However, we are living in an exciting time, as doctors’ reimbursement is just starting to shift from fee-for-service to quality-based-outcomes, which means we are all going to need to learn about the impact of diet on chronic disease. Stay tuned! After everyone reads your book they will be thrilled to know you created a non-profit organization called NutritionFacts.org and its main mission is to educate us on nutrition by presenting the best science evidence based research. You won’t find a single advertiser from the pharma or dietary supplement world. It is pure information and science and there is no advertising. Hope this got everyone’s attention now! Dr. Greger, tell us more about your website and what you set out to achieve. 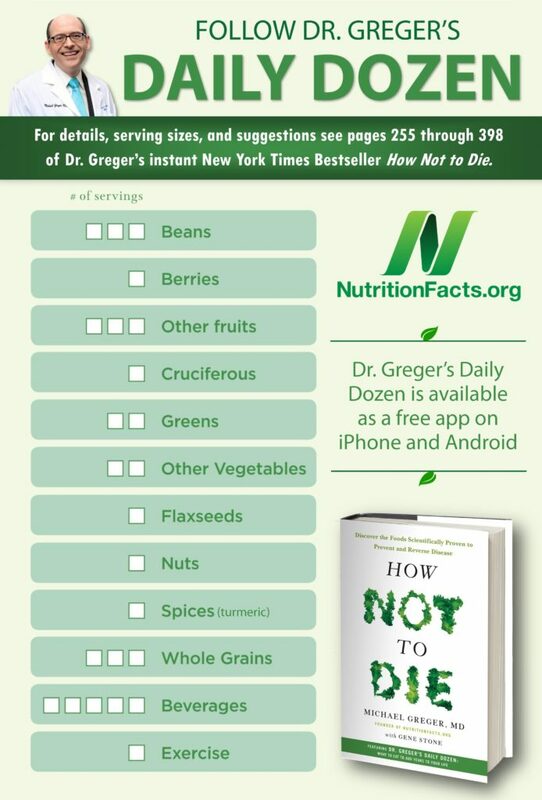 Dr. Michael Greger: Thanks for asking about my site, NutritionFacts.org, Laura! Well, whenever there is a new drug or surgical procedure, you can be assured that you or your doctor will probably hear about it because there’s a corporate budget driving its promotion. But what about advances in the field of nutrition? The reason we don’t see ads on TV for broccoli is the same reason groundbreaking research on the power of foods and eating patterns to affect our health and longevity gets lost and buried in the medical literature–as we discussed above, there’s no profit motive. It may not make anyone money, but what if our lives would profit? Did you know a whole-food, plant-based diet is proven to not only prevent and treat but reverse our #1 killer, heart disease, along with other deadly diseases such as type 2 diabetes and high blood pressure? Yet since doctors get little if any formal nutrition training in medical school, graduating without some of the most powerful tools available to stop the chronic diseases that remain our leading causes of death and disability. The goal of NutritionFacts.org is to present you and your doctor with the results of the latest peer-reviewed nutrition and health research, presented in a way that is easy to understand. Dr. Greger Closing: As a public health expert, I couldn’t agree with you more about the seat belts, Laura! Actually seat belts and nutrition are similar in a way. If we speed, text while driving, and don’t wear our seat belts, we are statistically unlikely to live long healthy lives. Nutrition is the same. If we miss out on the “seat belt of nutrition” (a plant-based diet), we place ourselves in grave danger of premature death and disease. So let’s hear it for seat belts and kale!